Yep, everything's bigger in Texas, and Houston is no exception. There's much to see and do, so knowing where to start can be overwhelming. If visiting for Super Bowl LI, here we offer a small breakdown of the best the city has to offer. 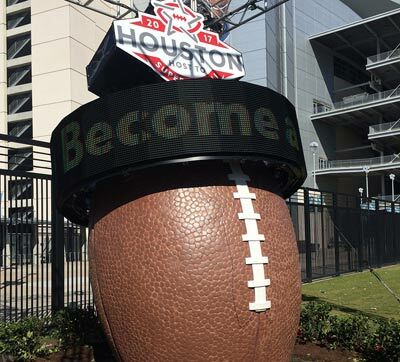 A diverse Houston is host to the 2017 Super Bowl. First, get your bearings. It's a town known for its energy industry and urban sprawl. Interstate 610 is the freeway forming a circle around the traditional inner city and is known as the "Loop." 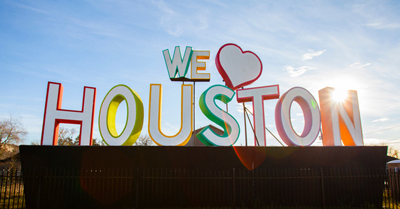 Houston is generally divided into areas inside and outside the loop. Car, bike, bus and Metro are all great options for exploring Space City. It might come as no surprise in a city known for oil that a car is probably your best bet. But the city also has an efficient metro rail and city bus system. 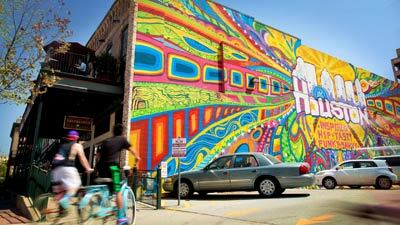 If you prefer human-powered transportation, the Museum District, home to over 20 museums and attractions, is very walkable (and easy to access via the metro system), or you can take advantage of bike share programs like Houston B Cycle. About 45 mintues from downtown, don't miss Space Center Houston. If you want to see more than just the big game, CityPASS has you covered. Inside the Loop, there's something for all ages. If you're traveling with kids, consider Houston Museum of Natural Science, Children's Museum of Houston and Houston Zoo. For a more grown up vibe, include Museum of Fine Arts, Houston, to your itinerary. All are located fairly close to each other in the leafy Museum District near Rice University and the Texas Medical Center. Downtown Aquarium is just up the road for family fun and great views of the city. 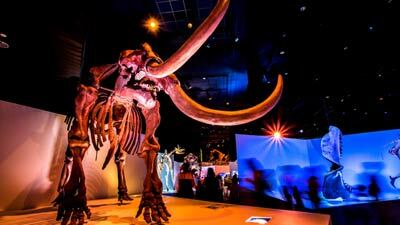 Houston Museum of Natural Science is fun for adults and children. If you're looking to get away from some of the hustle and bustle, two great attractions lay outside the Loop and near the "Third Coast." Kemah Boardwalk offers tons of rides, shopping and restaurants by the water. And, of course, a visit to Space City wouldn't be complete without a visit to the Space Center. From its start in 1961 with Apollo to the Space Shuttle and Space Station programs, Johnson Space Center is still mission control for NASA. 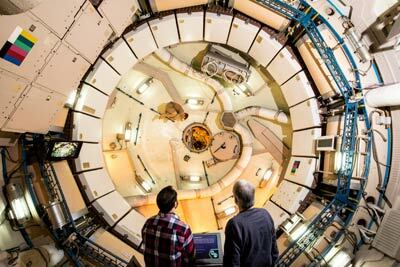 Space Center Houston is its gateway, serving as the official visitor center and offering educational programs as well as a museum of space artifacts and exhibits. Houston is diverse. There's oil and gas wealth, cowboy culture mixed in with Hispanic, Latino and Southeast Asian communities, and plenty of eccentricity. That makes it a culturally rich city in a laid back Southern atmosphere with a vibrant dining scene. Tacos A Go Go for food and a funky vibe. For seafood, we hear Danton's is the place for oysters. 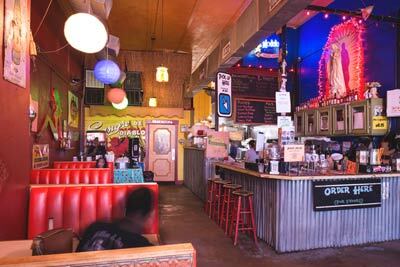 Don't be scared by the line out the door at the Breakfast Klub—it moves quickly. This Houston staple offers soul food like wings, waffles, Katfish and grits. Yum Yum Cha's Cafe is a fine choice for dim sum,while Field of Greens is the area's best-known health food restaurant. Football festivals and events abound. NFL Experience Driven by Genesis is pro football's interactive theme park. This ticketed event offers fans a unique chance to get involved in the festivities surrounding Super Bowl LI, offering interactive games, youth football clinics, merchandise from NFL Shop presented by Visa, player autograph sessions and more. Celebrate the Lunar New Year and the year of the Rooster with dance performances, fashion shows, live music and more at the Chinese Community Center during the Texas Lunar Festival. The event offers free admission and parking. Super Bowl Live is a free-to-the-public fan festival in the days leading up to the Super Bowl. Expect interactive games, exhibits, live music, food trucks and fun. Don't miss the signature attraction of the event, Future Flight, a combination of virtual reality and a drop tower that takes riders on a trip to Mars and back. Like we said, everything is bigger in Texas and this list could literally go on and on. The Visit Houston Guide to Super Bowl LI is another great resource for events, itineraries, transportation, dining, nightlife and more. The NFL also offers the ultimate companion app for Super Bowl events.